Genesis Roofing, LLC is an A+ rated company with the Better Business Bureau. We are a GAF certified company and also boast highly trained, Haag certified inspectors. For over a decade, we have provided exceptional roof repair, replacement and commercial roofing services to the Central Iowa area. In addition to our award-winning roofing systems, we offer additional services for all of your exterior home restoration needs. Skylights bring natural light and beauty to any space in your home. They also lower your electricity costs by reducing the amount of lighting needed throughout the day. 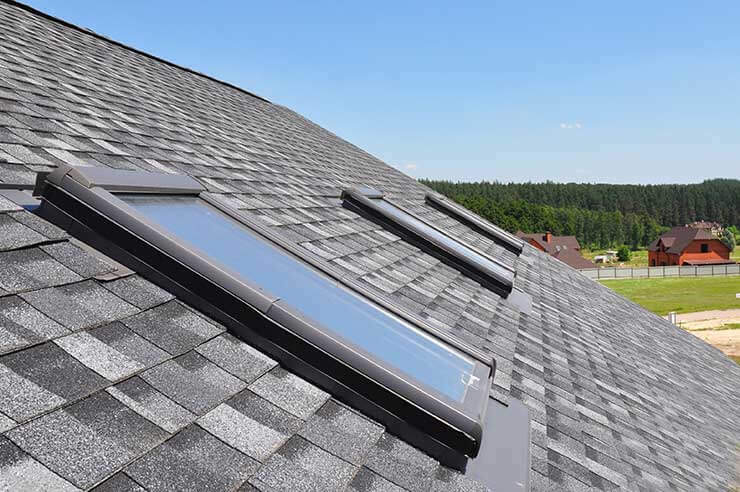 If you have an existing skylight that is leaking or having other problems, our technicians are trained to repair the problem quickly and easily. Is water dripping from seams in your gutters? Are there pools of water close to your home’s foundation? Do you have water in your basement? If you answered yes to any of these questions, your gutters may not be functioning properly and could be in desperate need of replacement. Water overflowing from your roof can cause erosion and lead to foundation damage. The water build-up can create foundation cracks which lead to flooded basements. Improperly installed gutters can also contribute to ice dams during Iowa winters. Our technicians have several unique techniques and solutions for removing ice dams. Don’t hesitate to repair or replace your gutters. Addressing the issue now will end up saving you time and high costs in the future. We also offer galvanized gutter screens to keep out leaves and debris, and seamless gutters, cut right on-site. We offer world-class residential siding solutions. Our products combine beauty and performance to give you a high-quality siding installation. We offer a variety of material choices and can recommend what we think will work best with your home. We use only top-quality siding materials, so you can rest assured that your money is being well-spent. Our technicians work diligently to install your siding with precision to protect your home and everything in it. Find out why Genesis Roofing, LLC is the best roofing company for your exterior restoration project. We serve Des Moines, Waukee, Johnston, Urbandale and surrounding Central Iowa communities. Call (515) 202-1667 or submit a form for your free estimate!